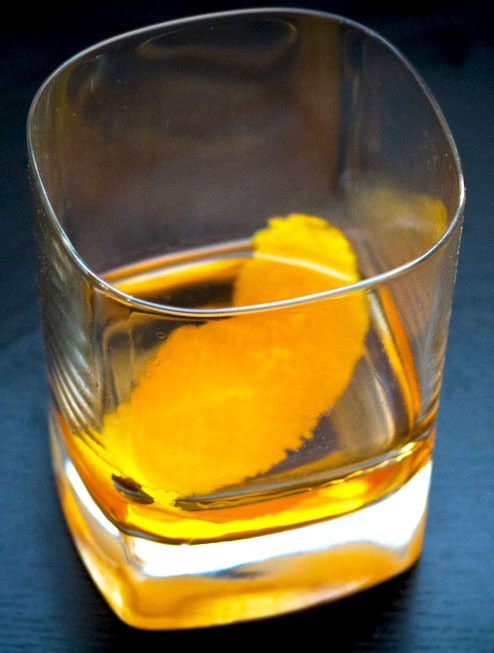 Often known as the lynchpin to Don Draper’s creative prowess, the Old Fashioned is the most historical style of cocktail preparation. Most drinkers have come to believe that the Old Fashioned must be prepared with Bourbon or Rye Whiskey. However, “Old Fashioned” merely represents a style of preparation that includes sweet, bitter, citrus, and a spirit. There is much deliberation over how to prepare an Old Fashioned cocktail properly, but let us present our take with Genius.